A short 10 minute walk from the Duomo of Florence. The Basilica of Santa Croce (Italian, Basilica di Santa Croce) or the Church of Santa Croce in Florence (Italian, Chiesa Santa Croce Firenze) was rebuilt for the Franciscan Order in the 13th century by the great architect Arnolfo Cambio, and was to serve as the place of burial for the city’s most important and esteemed citizens. 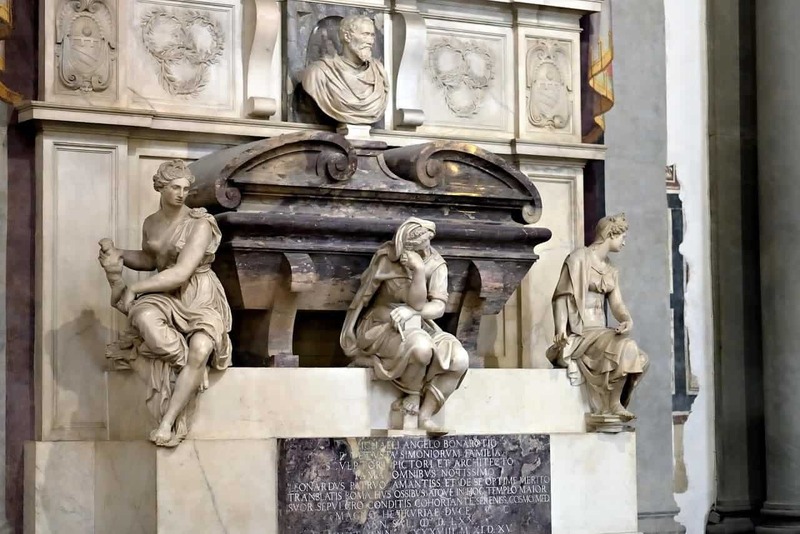 Machiavelli is buried in Santa Croce, as is the artist Rossellini and Michelangelo. The exterior is enmeshed in a 1860s polychrome marble-like façade designed by the English heir Sir Francis Sloane. The main Santa Croce structure towers towards Piazza Santa Croce which plays home to Calico Storico Florentino, a yearly soccer match played in mediaeval attires. The architect, Gaddi, designed the frescoes of the Holy cross in Santa Croce in Capella Maggiore in 1380. His contemporary Giotto designed St. John and St. John the evangelist frescoes in the Peruzzi and Bardi chapels. The Main architect Arnolfo designed the Santa Croce on the site of a previous Franciscan oratory built around 1210. The Santa Croce with its wide piers and many tombs was heavily impacted by a 1966 flood leaving marks of the tidal waves on its inner walls. Prominent Florentine families like the Peruzzi, the Bardi, the Alberti, Rinuccini and the Baroncelli were behind the designing of the 14th century frescoes. Meanwhile the artist, Donatello decorated the wall of the south nave. The 1900s writer Battista Giovanni Nicolini has a memorial built in his honor to the left of the main entrance. It’s this memorial that is believed to be the design that inspired the Statue of Liberty. The frescoes decoration took place in three phases with Giotto’s men being the first. His three followers Taddeo Gaddi, Maso Di Banco and Bernado Daddi painted the frescoes patronized by Berardi, Pulci and Baroncelli. Later on four men Niccolò di Pietro Gerini, Giovanni da Milano, Agnolo Gaddi and Andrea Orcagna, painted the sacristy and the aisles. Agnolo Gaddis created the frescoes for the Chapel’s high altar commissioned by the duke Albertti. Gaddis depiction of the Story of The True Cross is what crowned the 14th century decorations. The famed sacristy which encompasses the Rinuccini Chapel is accessed through the southern transept. 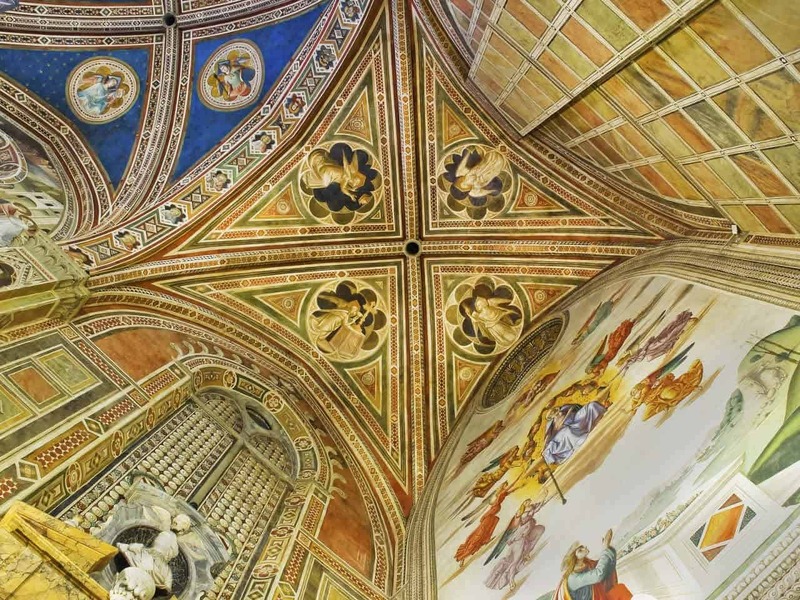 The designing of the Chapter house (Pazzi Chapel) began in the year 1429. This Pazzi Chapel has a great architectural harmony mostly because it’s decorated and enhanced by the roundels of terracotta crafted by the artist Luca Della Robbia and his team. The major architectural changes were done in 1444 and 1445, before some major additions were made in 1455 and the final one was done twenty years later in 1475. Each year around Christmas (November) the main Piazza in front of the church is turned into a Christmas market. There you can find lots of spiced cakes from Germany and Poland as well as other handcrafts. It’s something my family enjoys doing as part of the lead up to Christmas. One thing to remember is that around the time of eating (1pm/7-8pm) it will get very busy and there will be long queues. Either plan on eating before the storm or sit it out. This is particularly important for families or dads that turn into wild bears when they don’t eat at regular intervals. 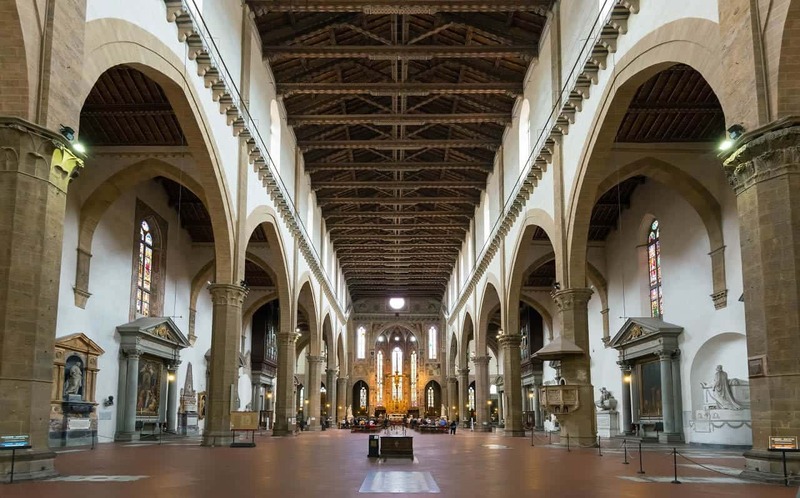 There is a page here by the local council that provides information about all the different markets in Florence.